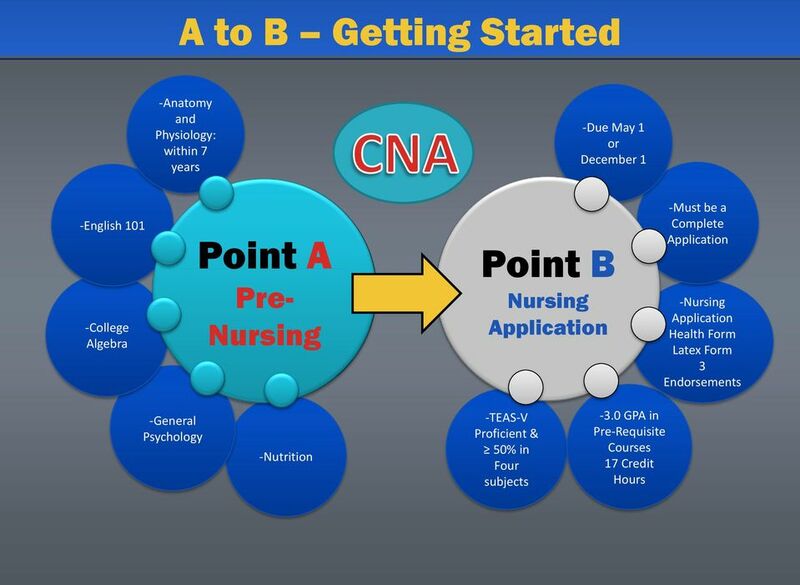 Download "How to prepare and apply to FSCC Nursing"
3 A to B How to Get Started You have a genuine interest in becoming a Registered Nurse Getting from A to B Make an Appointment to meet with the Program s Director, Mr. Bill Rhoads, RN, MSN. Apply to the Nursing Department at FSCC s Burke Street Campus. 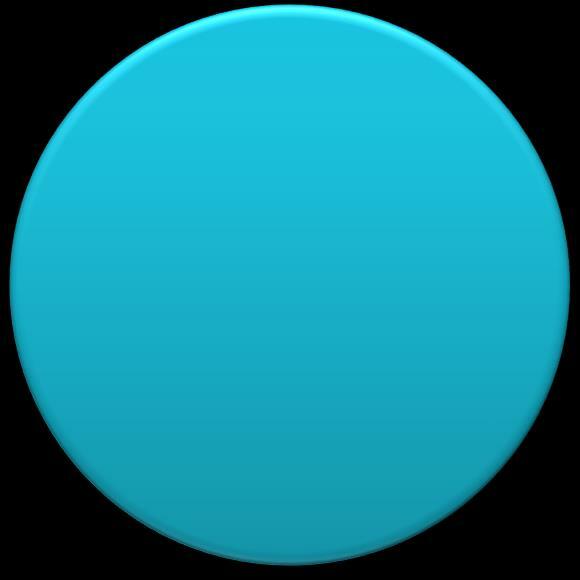 Indicate which campus is your first priority. 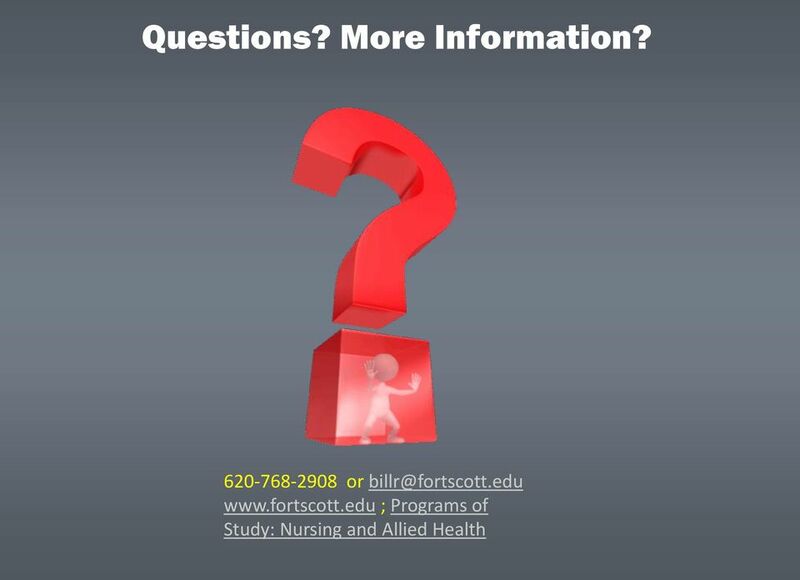 Apply to Fort Scott Community College online. 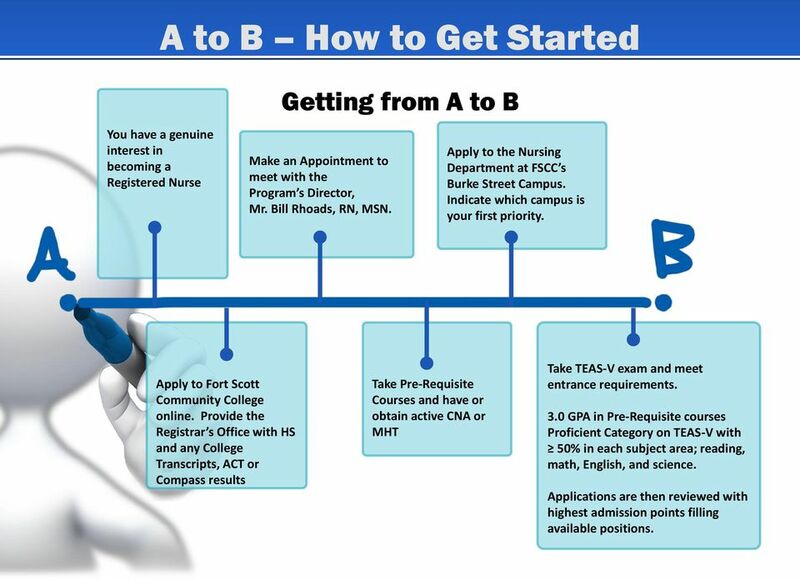 Provide the Registrar s Office with HS and any College Transcripts, ACT or Compass results Take Pre-Requisite Courses and have or obtain active CNA or MHT Take TEAS-V exam and meet entrance requirements. 3.0 GPA in Pre-Requisite courses Proficient Category on TEAS-V with 50% in each subject area; reading, math, English, and science. 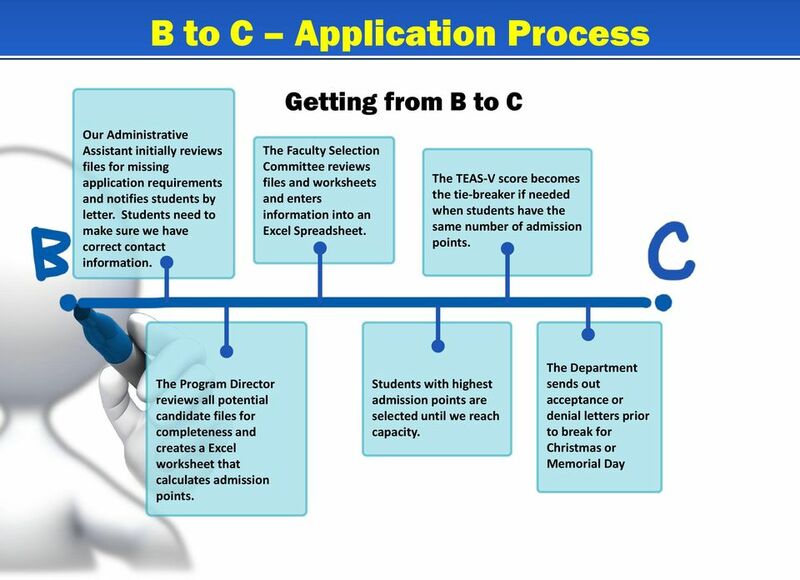 Applications are then reviewed with highest admission points filling available positions. 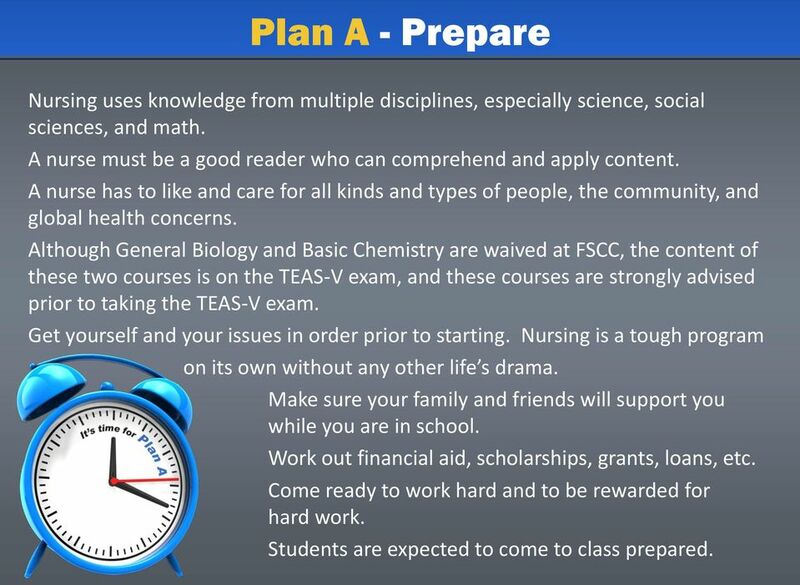 8 Plan A - Prepare Nursing uses knowledge from multiple disciplines, especially science, social sciences, and math. A nurse must be a good reader who can comprehend and apply content. A nurse has to like and care for all kinds and types of people, the community, and global health concerns. Although General Biology and Basic Chemistry are waived at FSCC, the content of these two courses is on the TEAS-V exam, and these courses are strongly advised prior to taking the TEAS-V exam. Get yourself and your issues in order prior to starting. Nursing is a tough program on its own without any other life s drama. Make sure your family and friends will support you while you are in school. Work out financial aid, scholarships, grants, loans, etc. Come ready to work hard and to be rewarded for hard work. Students are expected to come to class prepared. 9 Plan B Application Tips Apply to the Nursing Department early; don t wait until the last minute. 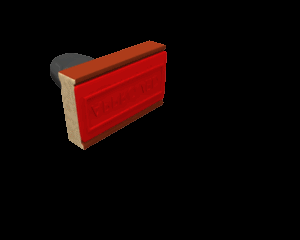 Check with the Department to make sure we have received all of the required application documents. Pay close attention to anything sent to you from the Department pertaining to your file and your application. There are policies and procedures in place to insure that all students are treated fairly and ethically. Use the correct forms and submit them on time. There is no guarantee of acceptance, even if one meets entrance requirements. 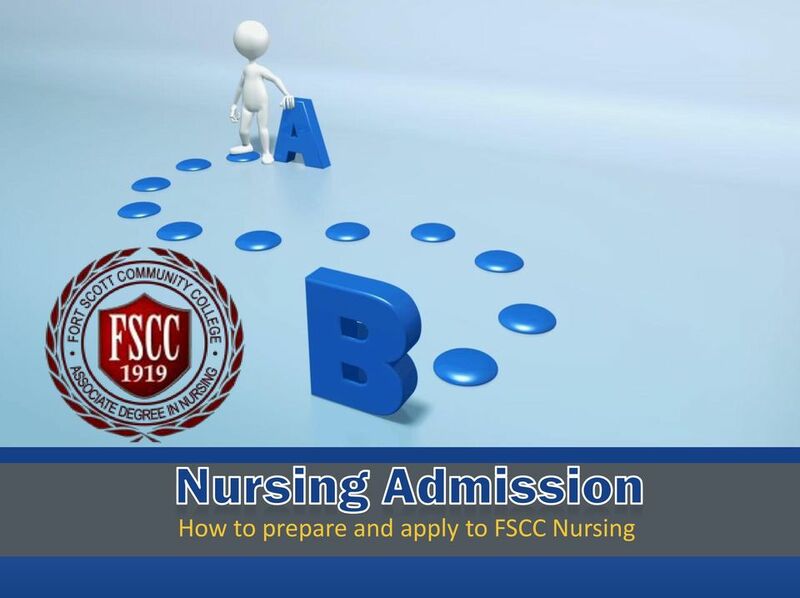 If taking non-fscc courses that will be considered for admission, make sure the instructor is willing to your course grade to the Nursing Department. Waiting for them to be posted to transcripts will be too late. 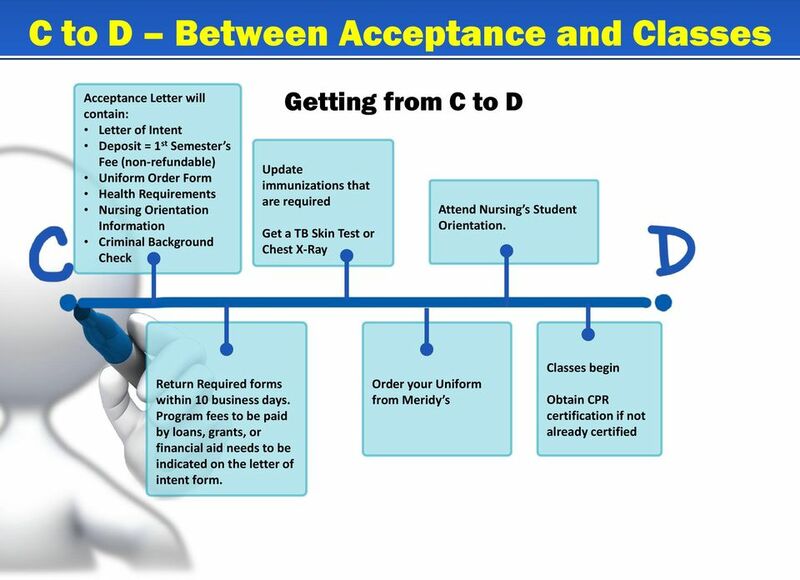 Respond to the letter of acceptance by the deadline. Your place may be given to the next person on the wait list. If Financial Aid is paying for the deposit fee, indicate that on the Letter of Intent form. If not accepted, inform the program if you wish to be considered for the next admission cycle. 10 LPNs and Advanced Standing FSCC does not have an LPN opt out option. 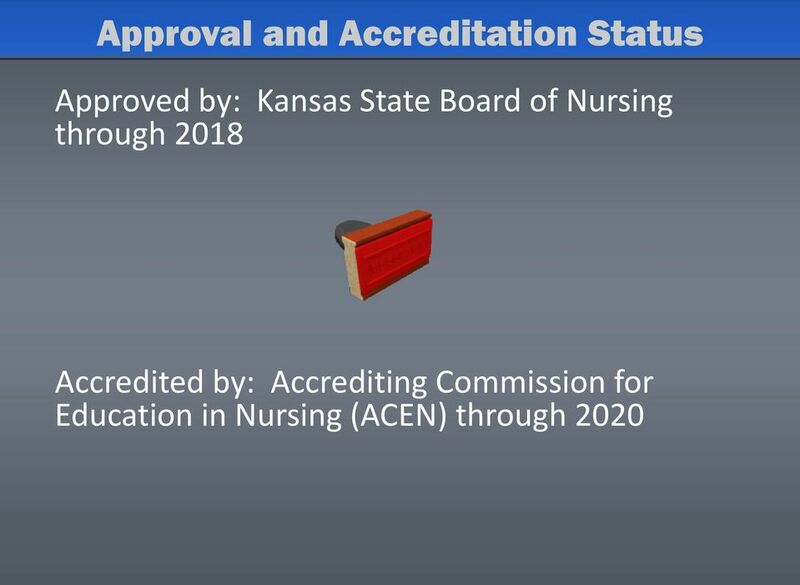 We participate in the Kansas Articulation Agreement where 40% of the Nursing curriculum is waived for Kansas licensed LPNs. 16 hours of Nursing courses in first and third semesters are held pending completion of the program, when they are then placed on transcript. 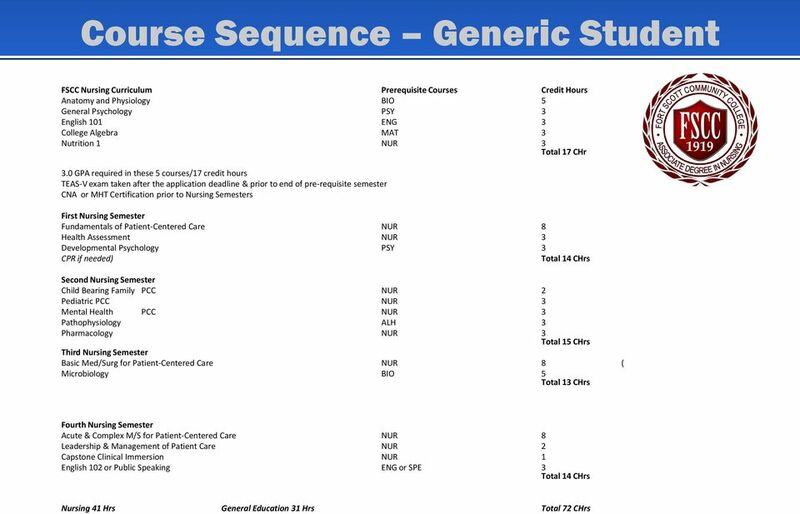 (8 hours of Fundamentals and 8 hours of Basic Medical/Surgical) LPNs must complete the Generic Student entrance requirements and also take the following courses prior to entrance except for CNA: Health Assessment Developmental Psychology Microbiology To enter at the 3 rd Semester of the program, LPNs must score into Level II or III on the ATI, PN Comprehensive Medical/Surgical Exam. 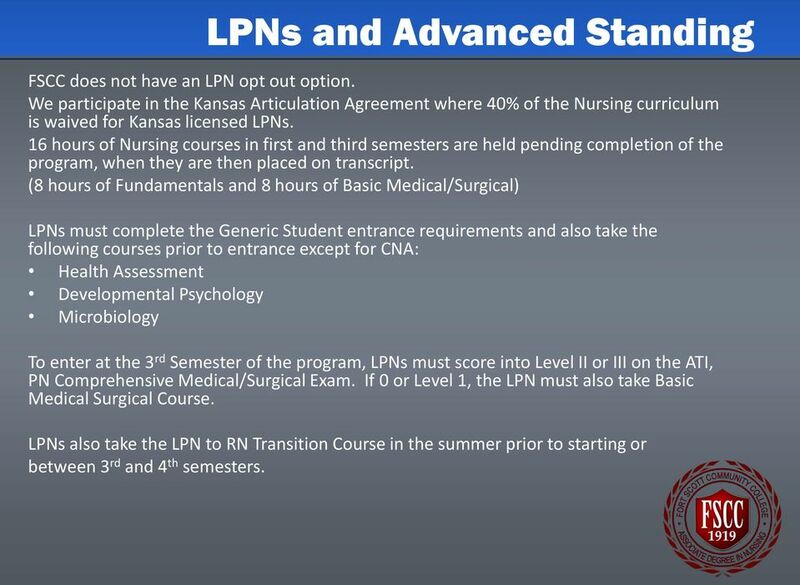 If 0 or Level 1, the LPN must also take Basic Medical Surgical Course. LPNs also take the LPN to RN Transition Course in the summer prior to starting or between 3 rd and 4 th semesters. 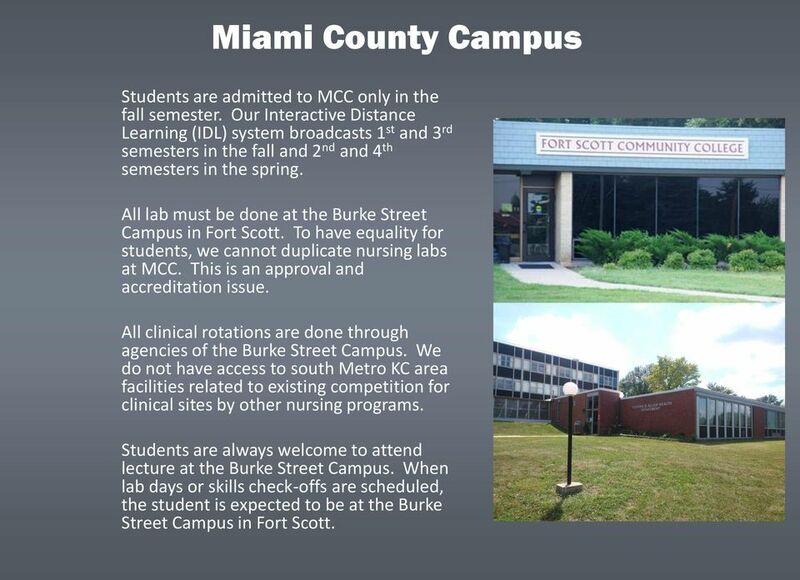 12 Miami County Campus Students are admitted to MCC only in the fall semester. Our Interactive Distance Learning (IDL) system broadcasts 1 st and 3 rd semesters in the fall and 2 nd and 4 th semesters in the spring. All lab must be done at the Burke Street Campus in Fort Scott. To have equality for students, we cannot duplicate nursing labs at MCC. This is an approval and accreditation issue. All clinical rotations are done through agencies of the Burke Street Campus. We do not have access to south Metro KC area facilities related to existing competition for clinical sites by other nursing programs. Students are always welcome to attend lecture at the Burke Street Campus. When lab days or skills check-offs are scheduled, the student is expected to be at the Burke Street Campus in Fort Scott.